Rainwater is a valuable renewable resource! It falls from the sky and provides our landscapes with life sustaining water. This resource can be passively harvested to yield the abundance for weeks or months after a rain. It has traditionally been illegal to stop the flow of any source of water in the west, without waterrights. This has included everything from simple rain barrels to dams and ponds, without specific permits. However, what hasnt been discussed is that it has never been illegal to divert downspouts directly into the landscape, allowing that water to slow, sink, and spread into the ground. 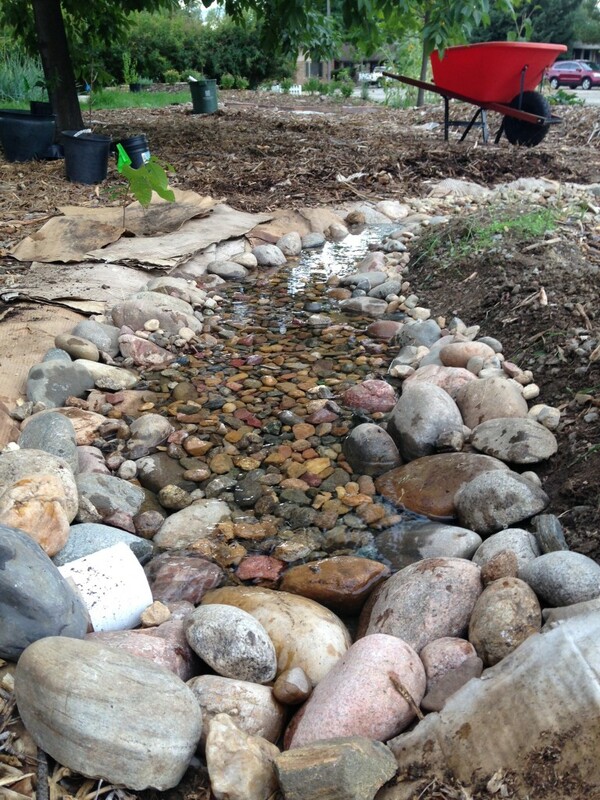 This style of Rainwater Harvesting is our passion here at Colorado Greywater. We thrive in the space of design and installation of simple earth shaping for passive water harvesting also called ‘Earthworks’. We can shape the earth to passively harvest water, while producing beautiful perennial landscapes andabundant food! Do you have Flood Problems? Earthworks can function in both ways. During dry times, they serve as a water harvesting solution. During wet times, they can effectively keep flood waters from getting to your home. We can work with flood specific solutions on mountain properties and in residential flood plains. ut what types of storage systems are allowed. 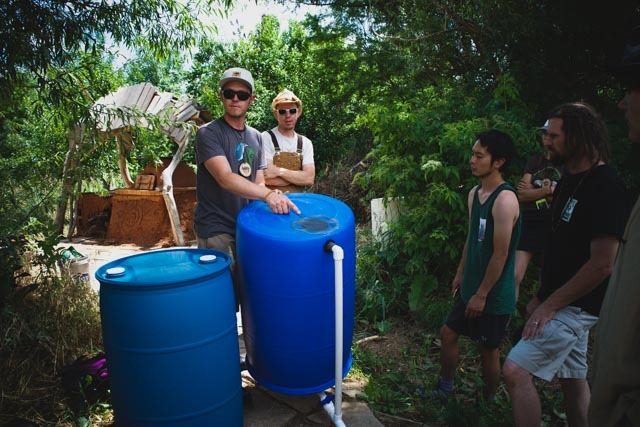 See our Parts & Materials Page for ideas on how to build your own rainbarrel solution. Or Contact Us to see how we can help you design a water harvesting solution, including earthworks, rainbarrles, and perennial planting of your landscape. 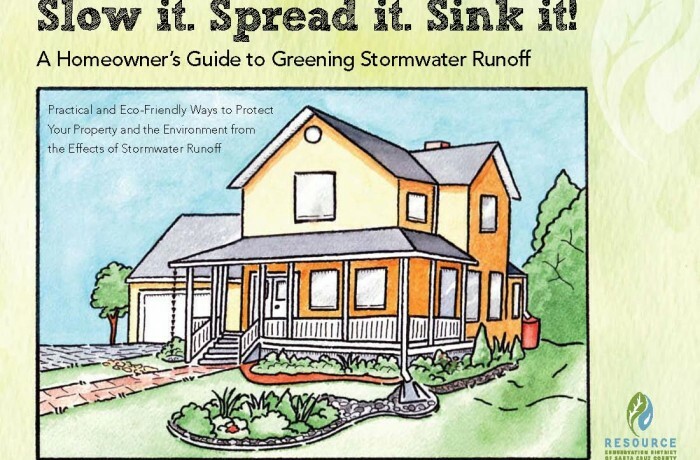 For more information, please click the image below for the attached PDF – Homeowners Guide to Greening Stormwater Runoff.